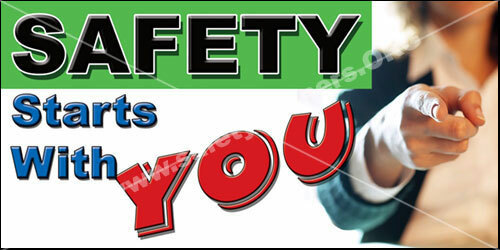 Only safety banners from SafetyBanners.Org come in both the horizontal and the vertical formats and 11 different sizes. Below is a sampling of what our two different safety banner formats look like together. No matter what your requirements, Safety Banners dot org can fill your need. We manufacture safety banners from 2 foot by 4 foot up to 10 feet by 20 feet and safety posters as small as 8 inches 16 inches. Safety Banners are our main business. Safety Banners are our focus. 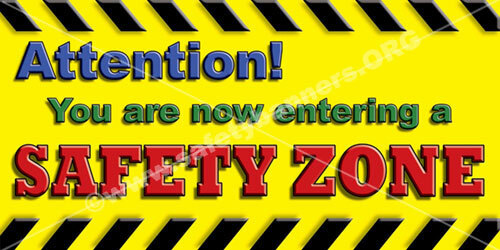 Our safety zone safety banner is one of the most popular safety banners on our website. Our safety banners are high impact, high visibility and help improve safety awareness in your company. Check out our new innovative rack safety banners. They are safety banners designed specifically for your pallet rack ends. 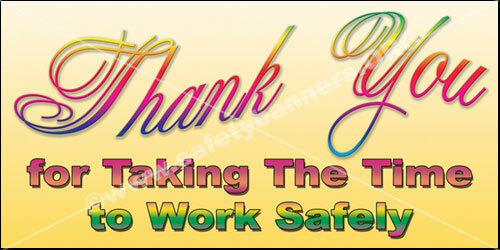 Look under the "Rack Banner" tab in our safety banners list. Innovation is how we became America's largest producer of industrial safety banners with slogans. Family Wants You Safe safety banners. ners designed specifically for your pallet rack ends. Look under the "Rack Banner" tab in our safety banners list. Innovation is how we became America's largest producer of industrial safety banners. 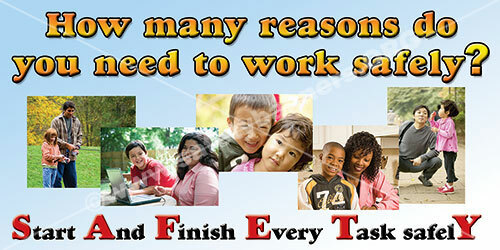 Live work play safely safety banners. All our safety banners are manufactured on demand and made of 100% industrial grade premium nylon reinforced vinyl. Our banners are 3 to 5 years outdoor fade resistant and and will last for over 30 years indoors. We guarantee our safety banners, and all our safety products because we believe our customers are our most valuable asset. Our customers keep coming back for safety banners and safety posters over and over for a lot of reasons, but we believe the main reason is our great customer service.